Another step back to the Olympics in Vancouver... This is where I worked: The IBC, or International Broadcast Center. 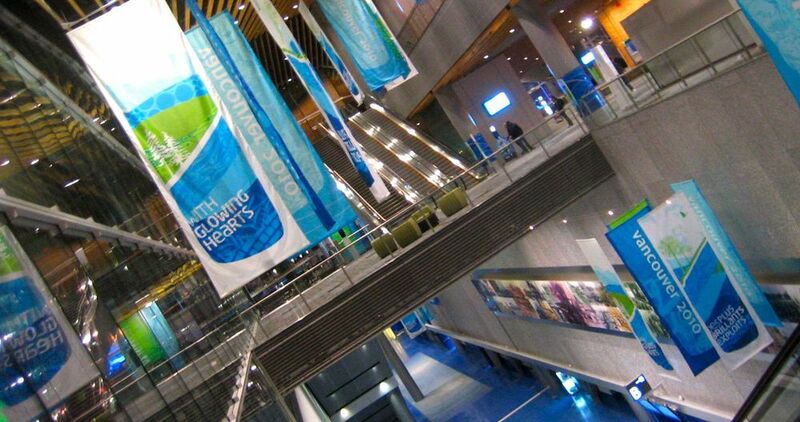 Like in Torino, they converted the city's convention center into a temporary television studio for all the networks around the world covering the Olympics, as well as the OBS, which provides feeds of the events to all of those networks. 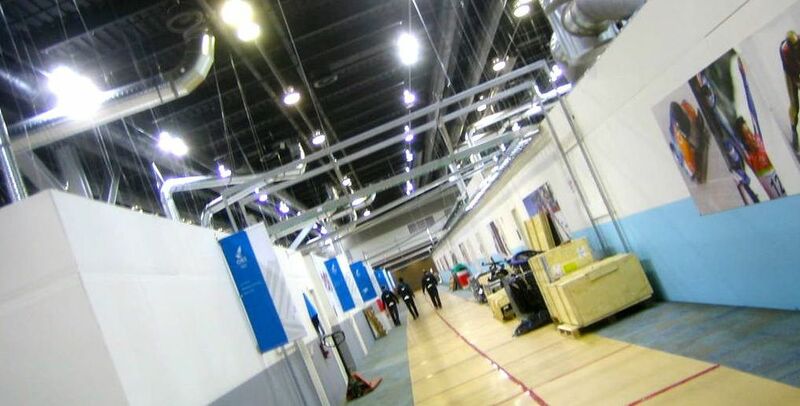 The Convention Center floor is built out with temporary sheetrock hallways and walls to create a maze of offices, rooms and areas. While most networks have about a couple office-sized rooms, NBC occupies about 1/3 of the entire space and builds out their space full of edit suites, offices, studios (more on those later), control rooms, tape library, even a commissary - and tons and tons of cable. It's an entire temporary network operation. Its pretty impressive. After the games, the carpet and sheetrock were even donated to Habitat for Humanity. I always think that at some point during the games I'll get a chance to wander the halls and meet some people from other countries, but we always end up being so busy that it never happens. Maybe if I'm lucky enough to be a part of the team again in a couple years, I'll do better at that.